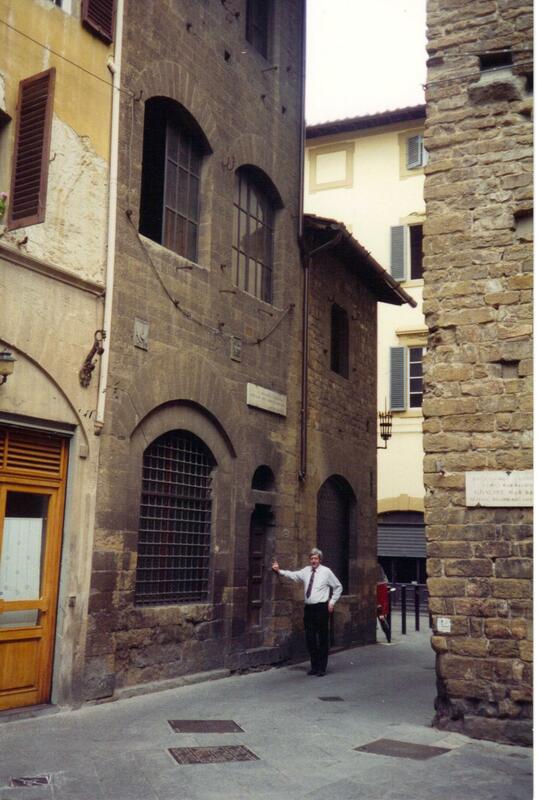 Photo of Nicholas Hagger by Dante's house in Florence, 30.4.1993. Hagger visited Florence to attend a conference at Villa Medici, Careggi, where Ficino based his Platonic Academy which gave impetus to the Renaissance. Hagger invokes Dante in Overlord and Armageddon.